If you would like your child to develop a passion for reading you should encourage them to read the very best children's novels available. The more children read, the better readers they become. 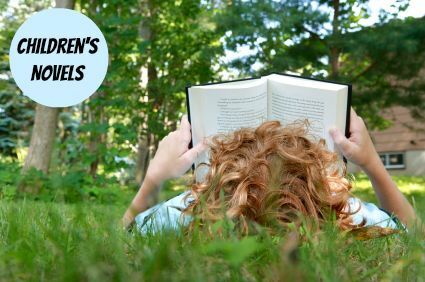 If they are inspired by excellent books, they will be motivated to read more and more. Children's novels are longer in length than children's chapter books, being over around 100 pages. Novels will often have more description in them, requiring greater imagination from the listener or reader. Usually children's novels are targeted towards children aged 8 or older. For children at the lower end of this age range, you may want to check first that you feel the content of the novel is appropriate for your child. Many children's novels can also be very enjoyable to read aloud to younger listeners but again, check the content first to ensure it is appropriate. To try to come up with a definitive list of the best children's novels I combined over 20 highly regarded lists of children's books including winners of prestigious children's books awards, reading lists from reputable sources and bestselling books of all time. Those books mentioned on more than one list are shown below, with books at the top receiving the most mentions. The well-known classic "Charlotte's Web" features at the top of the list with seven mentions in the source lists, closely followed by "The Lion, the Witch, and the Wardrobe" which had six mentions. Roald Dahl appears no less than four times with "Charlie and the Chocolate Factory", "The BFG", "James and the Giant Peach" and "Matilda". Unsurprisingly, three of J K Rowling's immensely popular Harry Potter books also feature. For a book which has been loved for generations, try "Little Women" which was written by Louisa May Alcott in 1868. If your favorite children's novel is not on the list, then please do share it with us. We'd love to hear about it. Just click here to share your favorite children's novel and follow the instructions.